Anything homemade is always better than store bought. 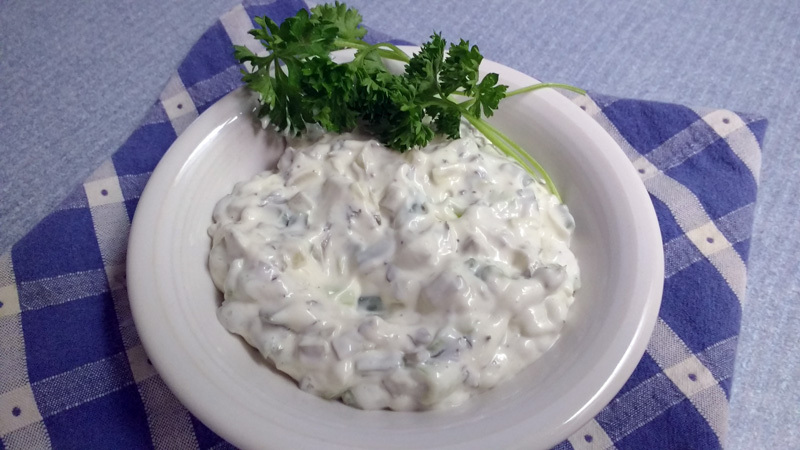 Here’s a recipe for a delicious homemade light tartar sauce made from fresh ingredients, which is much better than store bought Kraft tartar sauce. Fresh green onions add bite and color. Fresh lemon juice adds tart brightness. The light mayonnaise knocks down the calories without reducing flavor. The fresh chopped dill pickles add to the color and texture. Knock out some fish and chips or use on your favorite seafood. I like it both on baked flounder and grilled blackened tuna steak. Enjoy. *Sweet onions or shallots may be substituted.